Mask glasses made from high density 14 pt. white poster board. Liquid laminated for a high gloss finish on front, uncoated back. Quick turn, just ask. 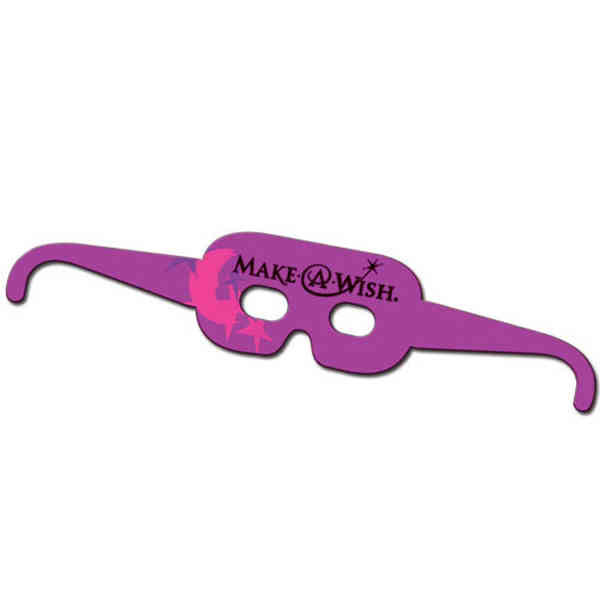 A unique promotional product sure to get your custom message or logo noticed. Price Includes:one color - one side. Ship Weight:Bulk packed in bundles of 25. Four color process minimum 1000 pieces call for details. Proofs Factory will supply a Fax of E-mail proof for all orders at no charge. Art charges For art not generated to our specifications call for details. Made in the U.S.A. Label available upon request no charge.